To the other nations of the world, religion is one among the many occupations of life. There is politics, there are the enjoyments of social life, there is all that wealth can buy or power can bring, there is all that the senses can enjoy; and among all these various occupations of life and all this searching after something which can give yet a little more whetting to the cloyed senses - among all these, there is perhaps a little bit of religion. 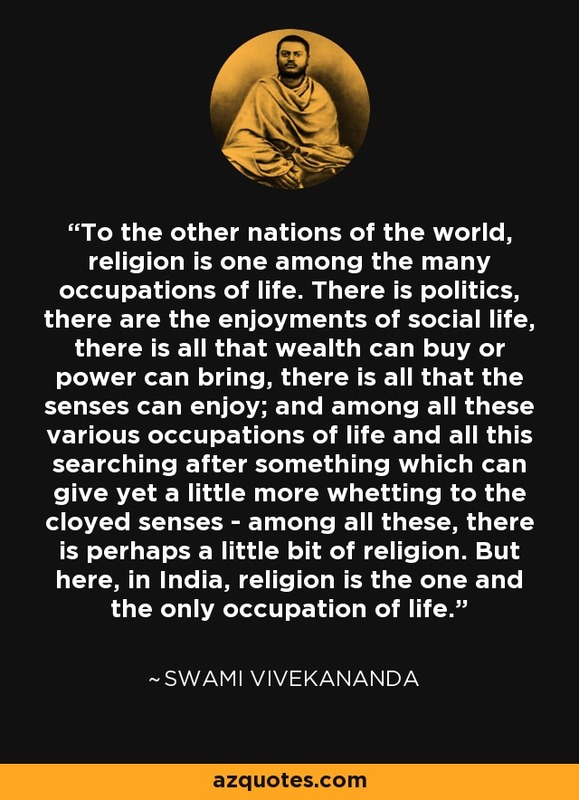 But here, in India, religion is the one and the only occupation of life.